We buy houses in ANY CONDITION! Let us make a fair all-cash offer on your property and you will not pay any commissions or closing costs. 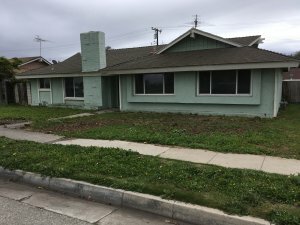 We Can Help — We Are A Professional House-Buying Company That Specializes In Buying Houses In Bellflower, California Fast, For Cash. Stop and watch the video below, press play now. 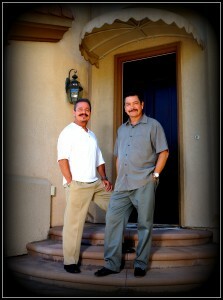 Need to sell your house fast in Bellflower… we’d like to make you a fair all-cash offer. And we’ll even GUARANTEE that offer and can have a check in your hand in as little as 10 days. The best part is YOU won’t pay any commissions or closing costs. Not only that, but the out-of-pocket expenses can really add up, too: before you sell the house, you’ll need to fix-up and clean-up the property, and keep paying the bills while the agent tries to find a buyer. After you sell, you’ll have to pay the agent thousands of dollars in commissions. All this time and expense adds stress to your situation when all you want to do is sell fast and put your real estate problems behind you! We work differently at Monte Buys Houses. We are a professional house-buying company and we have the funds available now to buy your house from you right away. We’ll buy in any condition, so you don’t have to fix up your house first. We buy fast, so there’s no waiting (and no extra utility bills to cover while you wait), and you’ll have a check in your hands as quickly as you want… even in as little as 10 days. We’re not listing your house, we’re buying it from you directly so there are NO commissions or fees to pay. Get in touch by entering your info into the short form below or by picking up the phone and calling us at (714) 637-4483. We’ll get back to you in 24 hours with a fair cash offer. There’s absolutely no obligation, but if you accept our offer you just tell us when you’d like to close and we can close in as little as 10 days! We are the Monte Buys Houses and we’re here to help you put your real estate frustrations and struggles behind you, put a check in your hands, and help you get on with your life. If you are FINISHED with the hassle of owning that unwanted house, and if you don’t want to have an agent sell your house because of how time-consuming and expensive it is, let us know about the property and we’ll give you an offer to buy your house in Bellflower fast. 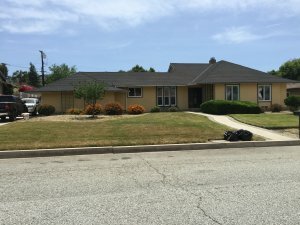 We buy houses in Bellflower California and also in the surrounding areas, too and we pay a fair cash price, fast. No matter what reason you have for selling, just reach out to us and let us make you an offer on your house — and sell your house fast for cash. 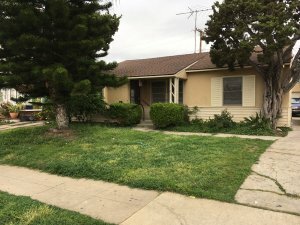 We Buy Houses Bellflower! The city of Bellflower was founded by F.E. Woodruff in 1906 and originally named Somerset in 1909 when the post office was established. However, the Post Office Department rejected the name to prevent confusion with Somerset, Colorado. 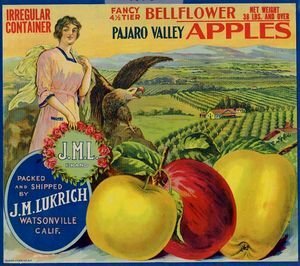 The present name is derived from the bellflower apple, which was grown in local orchards during the early 1900s. Before you go, STOP and watch this video. Press play NOW!